We are all a part of something bigger. Something bigger than ourselves, bigger than our choices, bigger than the moment we are in. The pieces that come into play for us to be where we are, at each and every moment might seem like mere happenstance, chance or coincidence, but often times it’s the choices of individuals who, just like us, who were intentional about something and that helped lead us to where we are today. I had the opportunity to see that with a mission team we just worked with. They came from Perkinsville Baptist Church in Boone NC. 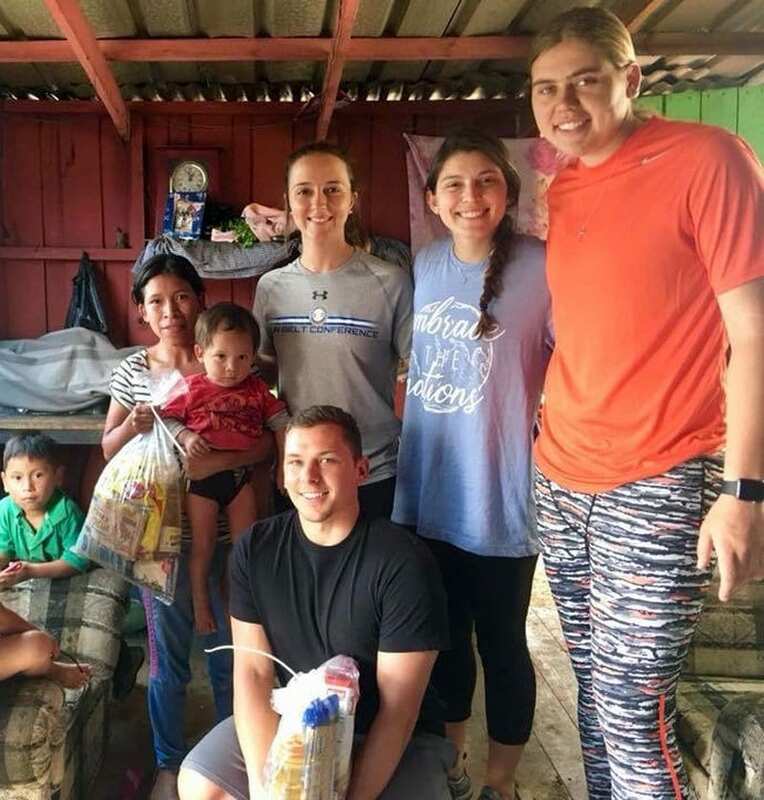 Now how does a group of 16 college students, soccer players, coaches, Sunday school teachers, church members and new believers end up partnering with a family with six children working as missionaries in San Jose Pinula, Guatemala? Not through mere coincidence, happenstance or luck, but through the intentionality of people who saw what God was doing, looked at their circle of influence, and became advocates. Work for this particular mission trip, started months in advance. 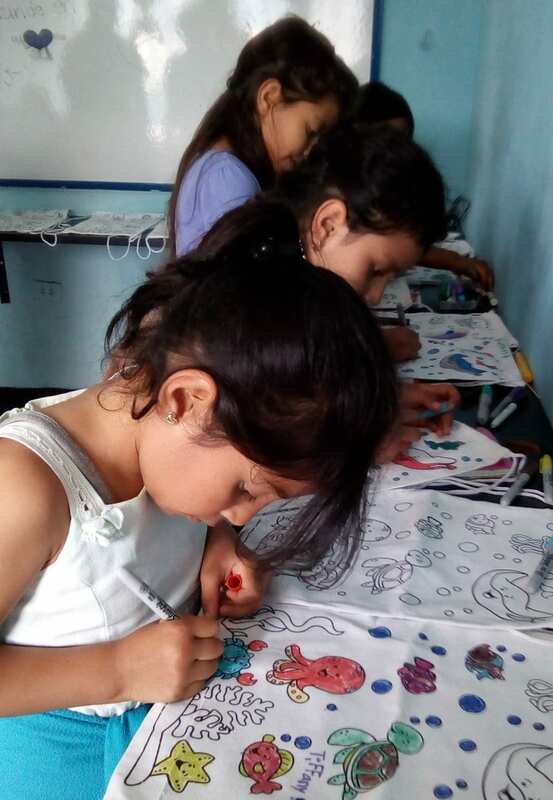 We run three community centers that serve over 300 of the most vulnerable at-risk children in Guatemala, not in orphanages, but right at home in the communities where they live. 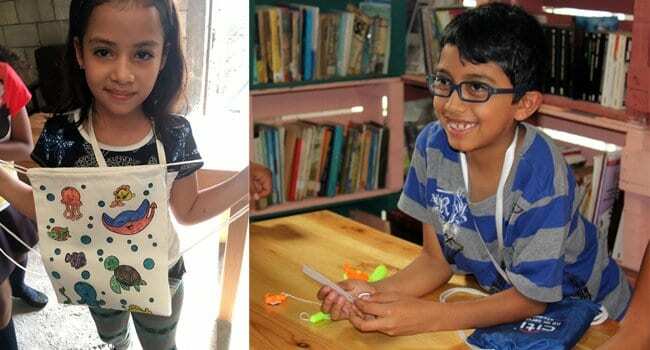 The purpose of our ministry is to provide spiritual training, educational reinforcement and learning opportunities to children. All the while ministering to the parents to build strong families through a proper understanding of the Gospel. Since the team was going to be teaching a VBS, we wanted it to be culturally relevant and applicable to the children, in line with what we are teaching, and well executed. 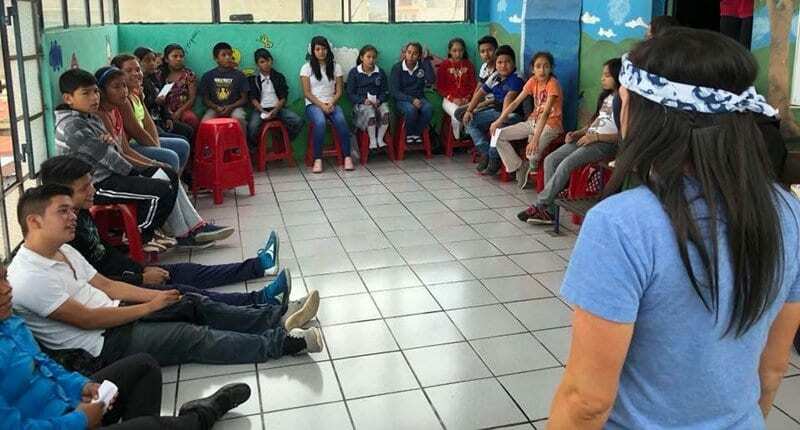 No one wants 50 children getting restless while a group of volunteers tries to figure out how to play a game for the first time. 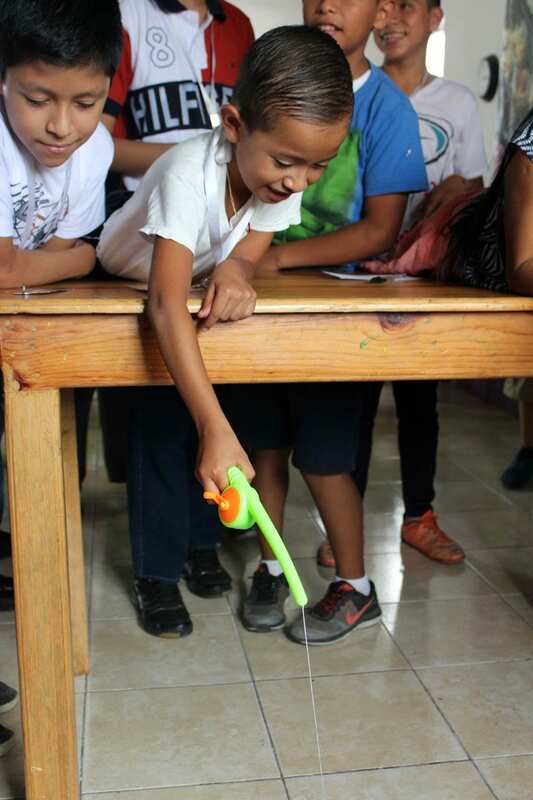 Working with our incredible national staff, Sharie spent time preparing the material, selecting appropriate Bible verses and tweaking games, crafts and activities so that they would work in a way our students would understand. 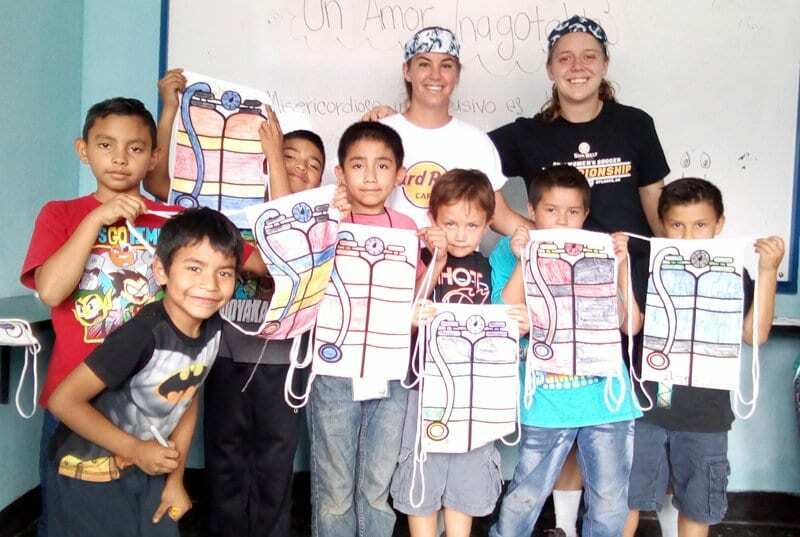 We then translated the material into English so the mission team could learn it before coming. It was a lot of work, but well worth it. As opposed to just jumping in and starting the first day the team came, we all attended church Sunday morning. 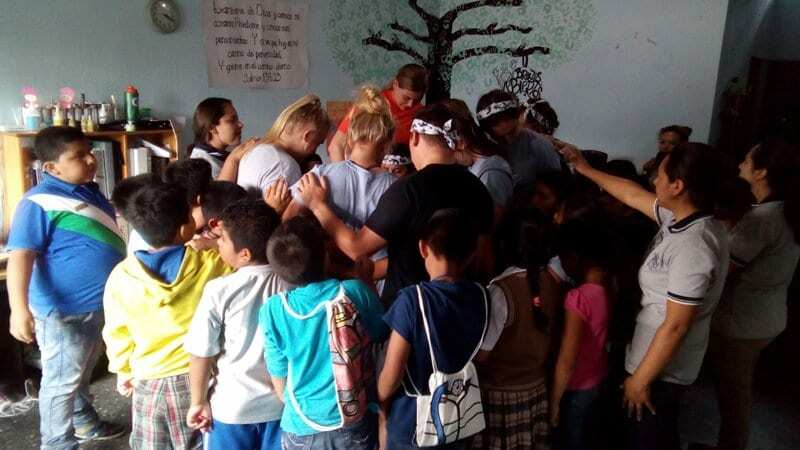 It was a powerful way to start the trip, worshiping together with their Guatemalan brothers and sisters in Christ, at a church that was generous enough to throw in some English choruses and provide live translation served to give our team a strong spiritual start for the week. We then invited our staff and translators to have lunch with the team. 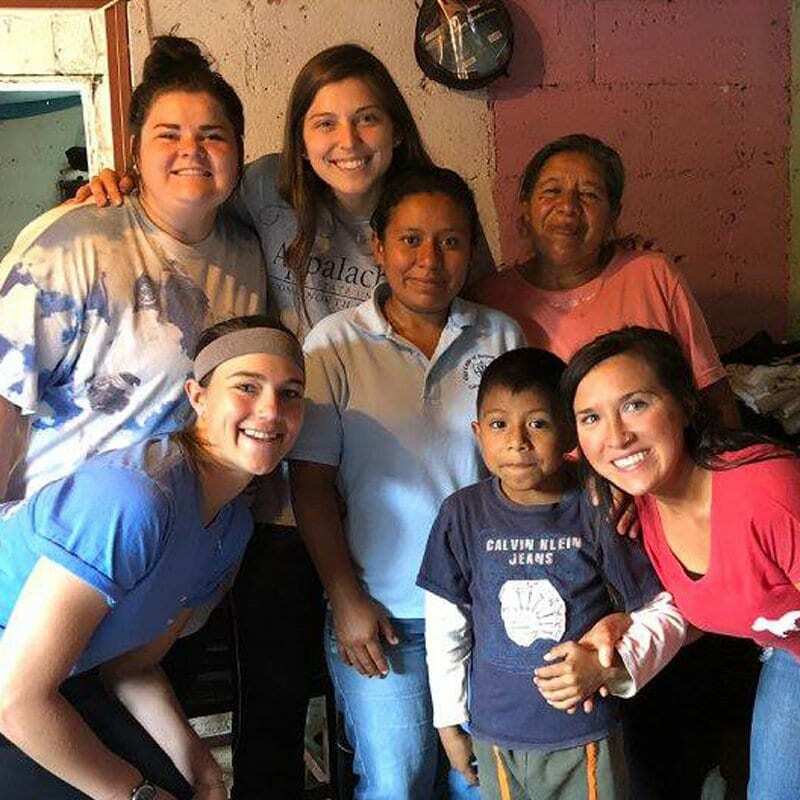 Often times a mission team has started to bond during their preparation for the trip, and it can be awkward for the translators and local staff to connect, so having a casual time of getting to know each other was a great way to break the ice. The next day we took time to run through the entire program. Even though we had planned and prepared, there is no substitute for the real thing and it was great to see everyone work together to iron out the remaining kinks. Sure enough, the VBS program was a success. Over the course of the week we did the program 6 times in a variety of settings. The space and location of our community centers varies greatly, from a big meeting room, to a building with three small rooms, to an outdoor garage. In every case our team did a wonderful job adapting the program to fit the location. All the planning, preparation and prayer that went into making this trip a success was worth it. As our ministry is to the whole family and not just to the children, we took time in the mornings to visit the families in their homes and bless them with bags of food. 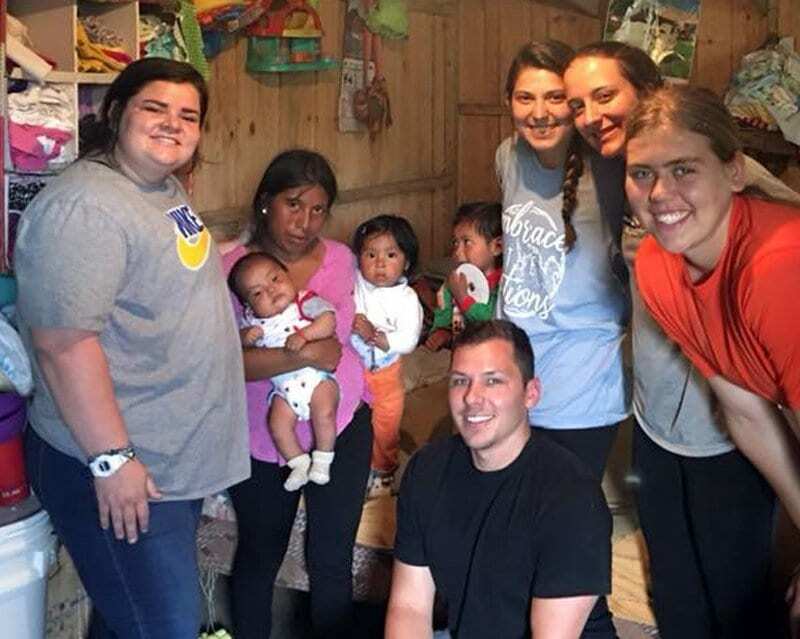 The living conditions of the families are humble, yet we were welcomed with open arms. It was encouraging to hear time and time again how grateful they were to have their children in the programs. For many of them the Bible classes we teach is the only “church” they get. 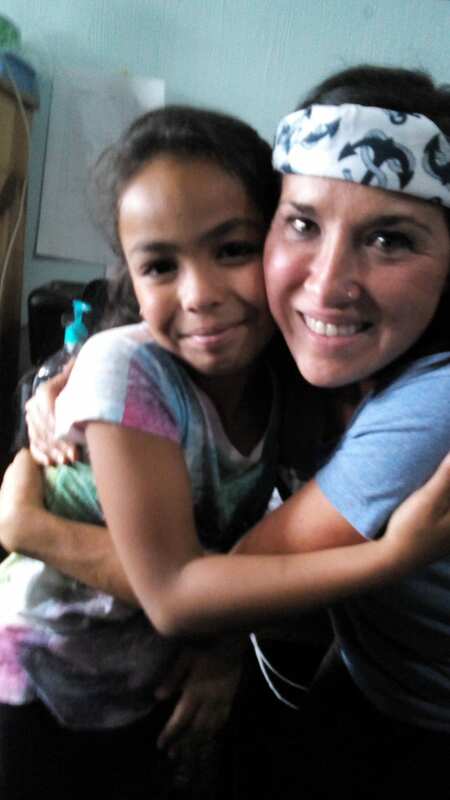 The team saw that the staff who work at our community centers are more than just Bible teachers, they are the children’s friends and “Aunties”, they know the kids, they know their families, they know where they live and they know their story. 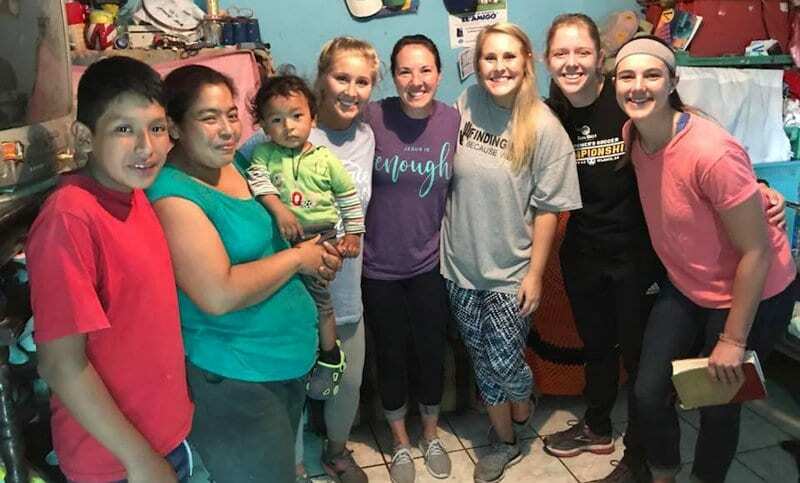 Spending time in the homes of the children we serve and getting to meet and pray for the parents gave everyone better insight into the needs of those we serve. Some of them were moved to tears when talking about it later. 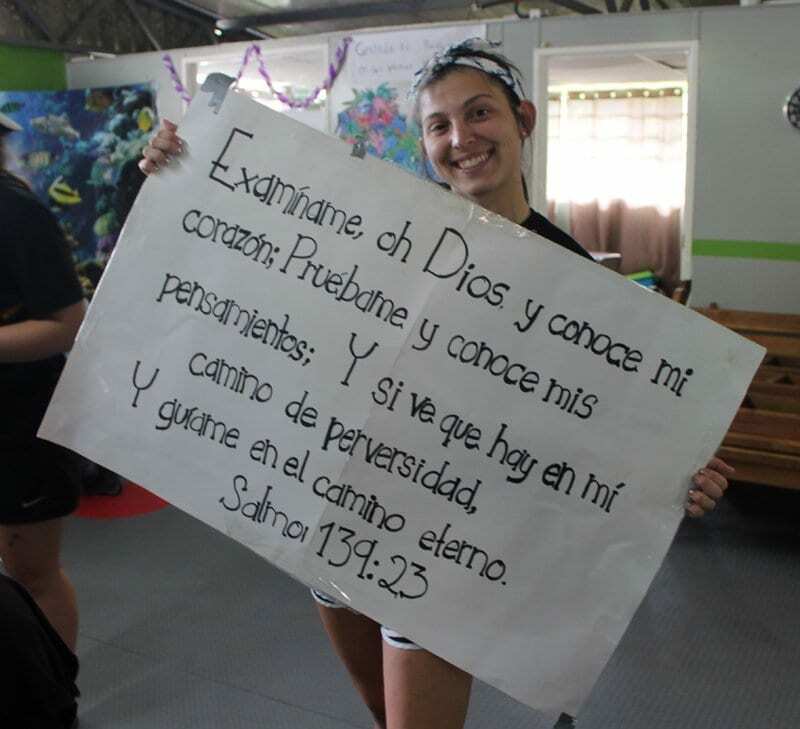 We focus on holistic ministry in our centers, serving peoples spiritual AND physical needs. A child who is hungry has a hard time learning the Bible. 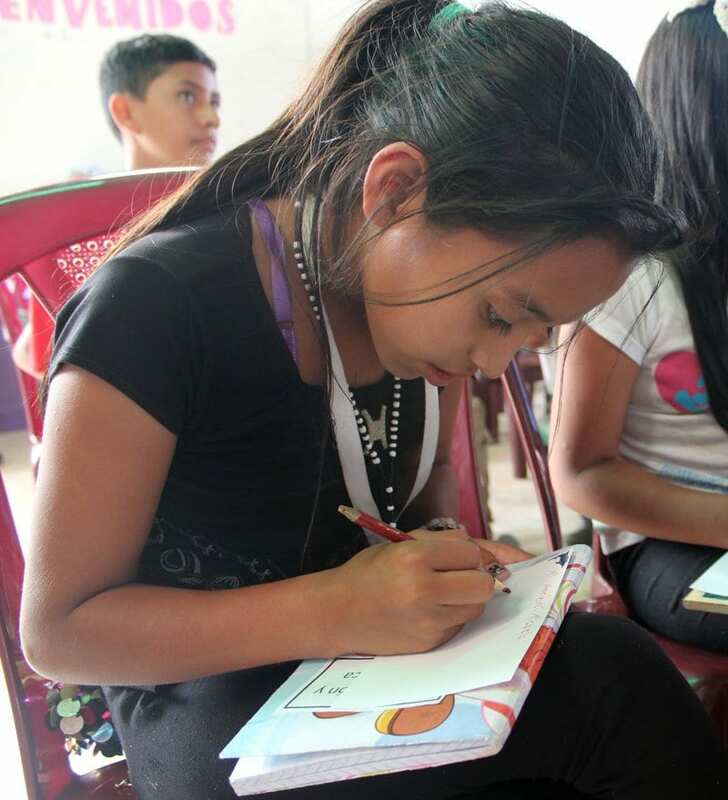 Our ultimate goal is not to make them wealthy but give to give them an eternal wealth through knowledge of the Gospel. Yet we believe that if discipleship means teaching them all the teachings of Christ and that includes helping them develop their God given talents to their fullest ability so that they might use them to glorify God (See Matthew 25:14-30 the parable of the talents). 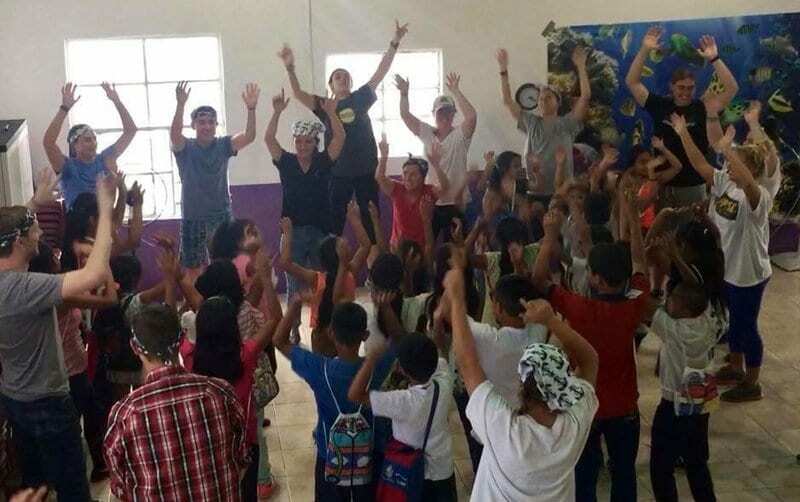 One of the most beautiful moments of the trip, was an impromptu worship time when one of the classes finished early, our staff led the children in praising God through song. Children and team members, translators and missionaries, we all raised our hands to sing, tears flowed and prayer followed, it was a wonderful time of praise and I truly felt God’s spirit was with us. 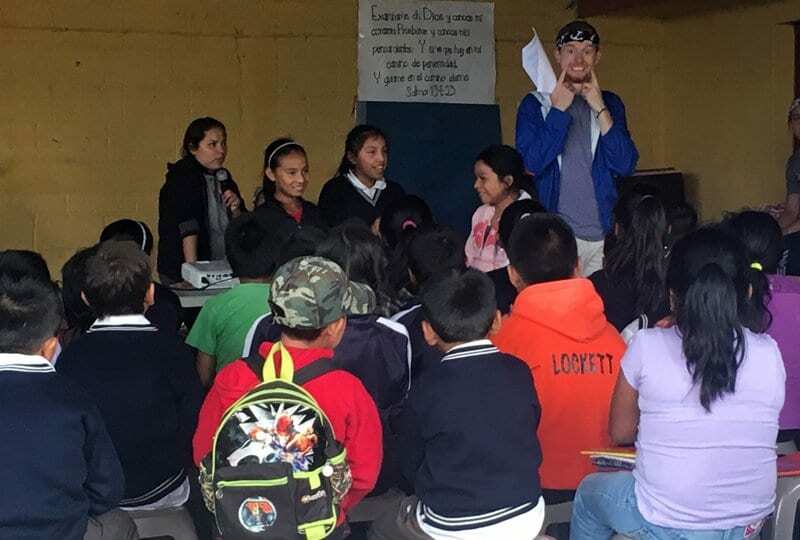 Towards the end of the trip I was able to share about the history of our ministry, not just about how we came to serve as missionaries in Guatemala 15 years ago, but about how they came to end up serving alongside us for a week. 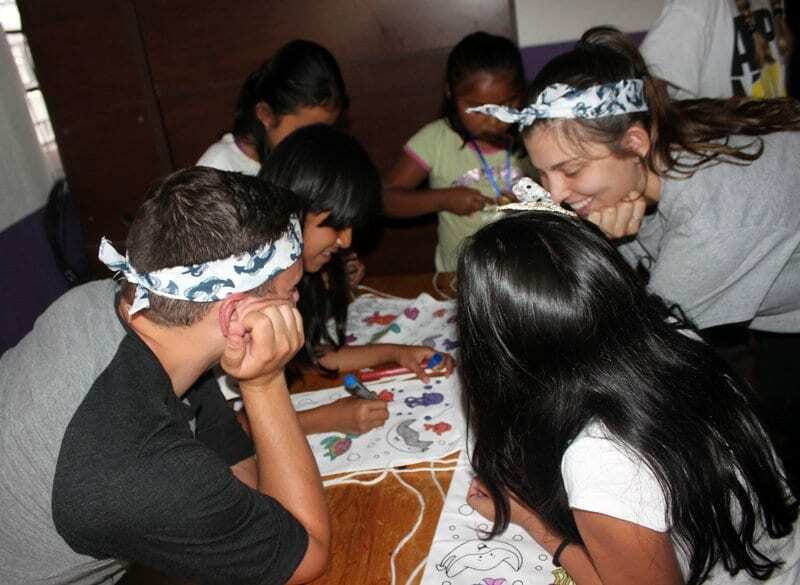 It started with a U.S. Airmen named Lucas who came to serve on a mission trip 6 years ago to help with a soccer camp, after that trip we stayed in touch and he returned to help with one of our first VBS programs and a summer camp. When we had to make a trip to the U.S. to raise support for our ministry, Lucas offered to see what he could do to help, he found a place for us to stay and contacted his pastor so we could share about our ministry at his church. At church we met Betsy Bolick, a staff member at church who is in fulltime ministry, she got excited about what God was doing here and decided to lead a team to Guatemala, last year she came with four people, Lucas, her sister Brittany who is a soccer coach at a university and Pagie, a Sunday school teacher. 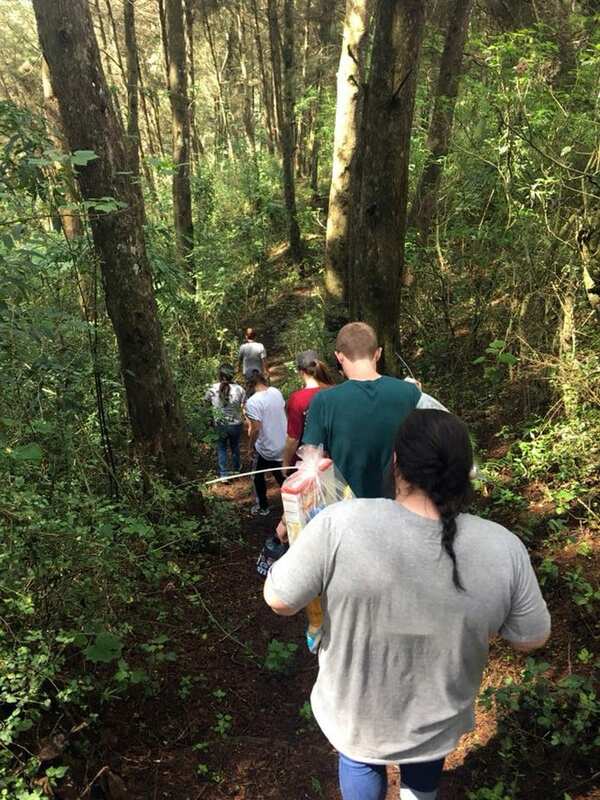 After serving with us last year, they went home, raved about the trip to their church and friends, and this year we ended up with a ton of people who wanted to come. 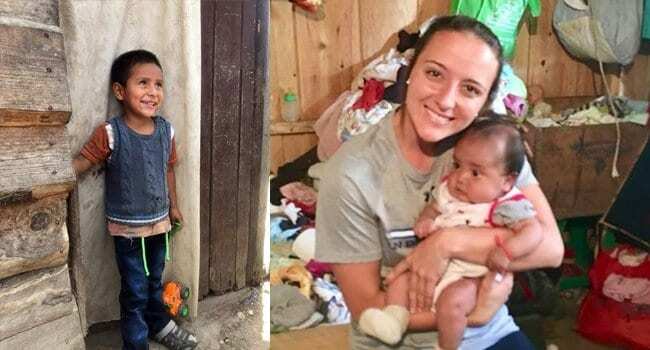 At each step of the way on the journey towards this team coming here, someone stepped up and became an advocate, not for our work or for our ministry, but for Gods work, and his ministry. If there is one thing I have learned in my time as a missionary, it’s that this is not “my” ministry, God has graciously invited me to be a part of His work and His story, something that He has been doing since the beginning of time and something that He will carry on with long after I am gone. As the team was leaving on the bus to return home, many of them with tears in their eyes as the emotional feelings of everything they had experienced welled up in them, I challenged them to take this journey one step further, I challenged them to go home and become an advocate, not just for us, but for those they come across that need help in this broken and fractured world. Imagine if each one of those 16 people answer that calling, what kind of amazing things could happen? We each have people within our circle of influence that only we can reach, what if each and every one of us asked them to be a part of a cause we are passionate about? I believe we could see exponential growth in service, love, compassion and the Gospel coming alive in people as God’s Kingdom comes here on earth and Gods will is done on earth as it is in heaven.